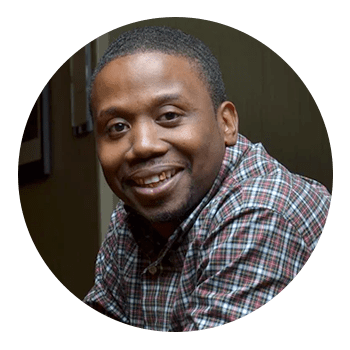 Marquel Russell is the creator of IntellectualPROFITS™ which is the methodology he created to help entrepreneurs turn their knowledge and expertise into business that make them 6-Figures per year of even 6-Figures per month. He’s known for delivering the highest returns on investment to his clients(upward of 1,110.76 percent) and has a list of Success Stories that’s as long as the line at a Jay-Z and Beyonce’ Concert which have collectively equaled Millions of Dollars in New Revenue. When he isn’t traveling the world with his family, watching cartoons with his two youngest kids, playing video games with his older kids or empowering inner city at risk youth, Marquel now spends his working time helping his clients apply his time tested and proven methods designed to help them rapidly grow their income and build businesses that gives them true time and financial freedom while making the world a better place. 6-Figures per year or even 6-Figures per month. THREE REASONS YOU SHOULD NOT BE HERE. Hi, I’m Marquel Russell and thanks a billion for stopping by. I always love the “about me” page on websites like this because they’re written in the third person …even though they’re typically written by the the owner of the site. So after Marquel Russell made several attempts to sound smarter than he really is by writing about himself in the third person, he quickly abandoned that approach and decided to write this page like it was a letter to a friend. Which …in many ways, it is. Anyway – what do you want to know? I’m 33 years old. I live in Atlanta, GA with my beautiful wife,Vanessa. We have 6 kids that love traveling, shopping and going to nice restaurants. I’m guessing that’s not the kind of stuff you’re looking for, huh? For many readers, my answer is NO. For some reason, people equate “selling stuff on the Internet” to “get rich quick”. I get it. That’s what attracted me to the Internet in 2011’ish (more on that later). I thought it would be easy money and I’d have thousands coming in every day … on autopilot. Well, it wasn’t easy money. I do have consistent revenue coming in every day …often on auto pilot …but it took lots of work, frustration, and perseverance to get there. …And it still takes work to keep it all running. So if you’re not prepared to commit to roughly ten times more effort than you’re expecting, I’m not your guy. #2. If you don’t want to build a REAL business and advertise, you’re not going to enjoy my stuff. No, I don’t sell advertising. But here’s why I’m telling you this. Start going down the “Internet Marketing” rabbit hole like I did, and you’ll see all kinds of ads and articles about free traffic, how to get rich by having other people promote your product, and all kinds of hype on the “latest loopholes” for “hacking the system”. Does some of it work? Probably. In the short term. But if you rely on that, that’s believing in luck, and you don’t have a business. You have an income stream that’s supported by an unsustainable gimmick. P.S. I do deploy some free marketing strategies, that I will share, but always understand that the free online marketing strategies are long term and typically won’t create immediate results. #3. If you’re looking for “The Easy Way”, I don’t want to help you. First off, it’s extremely important you understand what I’m telling you. I can help you, I just won’t. I’m capable of it, but I refuse to do it. And that really translates to “I don’t want to put it the work”. Look, selling things on the Internet is HARD WORK. yes, when it’s all up and running, it can be just like you imagined: Passive revenue and money while you sleep. But that takes HARD WORK to create and it takes HARD WORK to maintain. Quite frankly, this is why most people quit, however, if you’re up to getting out of your comfort zone and sticking it out you can become extremely wealthy and create a life that you absolutely adore. You’re Still Here? Good for you. Here’s what you can expect from me. An opportunity for us to work closely together so I can help you get your desired results FASTER. Can you believe I just told you flat out that you’re going to receive offers to work with me and my team? Well, why wouldn’t I tell you? Unlike most “internet marketing gurus” you won’t see consistent pitches for any low end products that just create more confusion and overwhelm. I used to do that because that’s what everyone else was doing and we did very well using that model. However, what I’ve found is that people just want to go from Point A to B as fast as possible and you’re not going to get there from just going through course after course. Believe me when I say that there is a shortcut and an easier way. It’s with Mentorship from somebody who has a proven system and who has actually done it. So for those who aren’t ready to work with me and don’t meet the qualifications, I do have a very popular and extremely podcast, Results Over BS, where I deliver insights strategies and tactics you can use immediately. *The insights, strategics and tactics I share on this podcast are actually more valuable than the stuff the “gurus” try to charge you thousands of dollars for (and I say that as humbly as possible, kinda). I call it the old “Demonstrate You Can Help Them By Actually Helping Them” trick. How Do I Know If Your Stuff Is Any Good? Well, the smartest thing to do is to just get some of my free materials. If you like it, you’ll probably like my coaching program. If you don’t like it, you won’t. I started my “Internet Marketing” career in 2011 by selling a network marketing opportunity online. At that time, I was selling it the old school traditional way, via home and hotel parties. So one day I was introduced to an ebook, that said there was a way for me to “magnetically” attract distributors for my network marketing opportunity using the internet, and even get paid from the ones that said “NO” (which were most of them). I must have read the sales letter for it 100 times before I bought it. All throughout the book it talked about how I could attract endless distributors who were eager to join my biz op on auto-pilot by using “Attraction Marketing”(which was just another term for the ancient art of direct response marketing). My 26 year old brain translated that to mean, “You’ll get rich really fast because people will join your team in droves without you doing anything” …which is exactly what I set out to do. This book also gave me my first taste of “affiliate marketing” (where you sell someone’s stuff for a commission). At the end of the book, the author said that I could use his book to attract prospects(other struggling network marketers), and I’d make $20 for every sale I made. It actually made my first $20 online and I was happier than a chubby kid in Willy Wonka’s Chocolate Factory. Anyway – this book was just a “gateway drug” because in good ol’ internet marketing fashion it took me down a rabbit hole where I was exposed to more and more products on how to sell online using direct response marketing. I bought them, listened to them, and was blown away. Then I bought old books about direct response advertising and read them. Then I bought more books and courses on copywriting, marketing etc. and read them. And after three years of trial and error, I finally started to achieve real success online. So much so that people actually started inviting me to speak at their events and on their webinars to train their people on how to attract customers and clients using digital marketing. From that point, I decided to start teaching people how I was doing what I was doing to get such amazing results online. I called it “Virtual Coaching” (mainly because you can do it anywhere in the world with just a Wifi connection and laptop). And that’s how I got my start as a “marketing guru”(well that’s what people call me these days). I got so good at this “Virtual Coaching” model, people started paying me a lot of money to teach them how I was doing it. I’m the “go to guy” for some real big shots(who shall remain nameless) when it comes to online marketing. 2) Already had a offer they either wanted to charge more for or actually attract more clients for their offer. …and combined have now generated millions of dollars online. My main focus and my speciality is helping create wildly profitable virtual coaching businesses and create automated systems that position you can consistently and predictably attract and endless flood of your ideal clients. It is, in my opinion, the Holy Grail of Building Wealth Using The Internet. I do this by showing you the best way to genuinely help your prospects before they see your offer. Let me share a few of my core beliefs about building businesses and attracting and serving great clients. First: I believe in total integrity and transparency. Integrity comes from the Latin word ‘integer’, meaning ONE. That means that what I say and what I do is in perfect harmony. It means that when I say I’m looking out for you, I mean it. I will NEVER let you do anything that isn’t in your best interests. That includes not taking action! Second: I believe in premium pricing. That means you should be earning $3,000 – $10,000 for every client who comes in the door. PERIOD. Third: I believe in the direct approach. Fourth: I believe in transformation, not information. When you land a new client, he or she is there to experience an outcome. Information is nice, but everything in your program should be about creating real results. I don’t sell training without coaching, because I know there’s a great chance that most people will ever go through the training and implement it, so I’d rather be alongside them and increase the chances of them creating the outcome their seeking (which is transformation in some area of their life or business). Finally, I believe in complete solutions. That means I give you the whole puzzle, with all the pieces, and help you put it together. Too many coaches only have one or two pieces, and then expect you to figure the rest out on your own and I think that’s pure BS. I give you the whole shabang. Are You Ready For My First Sales Pitch To You? Go to my home page and check out my podcast. If you like some of the episodes, sign up for some of my free trainings. If they help you, consider applying for our coaching program and let’s see if we’re a good fit to work together. Thanks for reading this page now Get 2 It! GET MY BRAND NEW ACTION GUIDE FOR FREE!